Last week we published our guide to the best pillows for stomach sleepers and are celebrating with a series of fantastic giveaways inspired by our picks. We’ve currently got contests for Nolah Sleep and Tomorrow in the works and are keeping things going with a brand new giveaway from MyPillow! 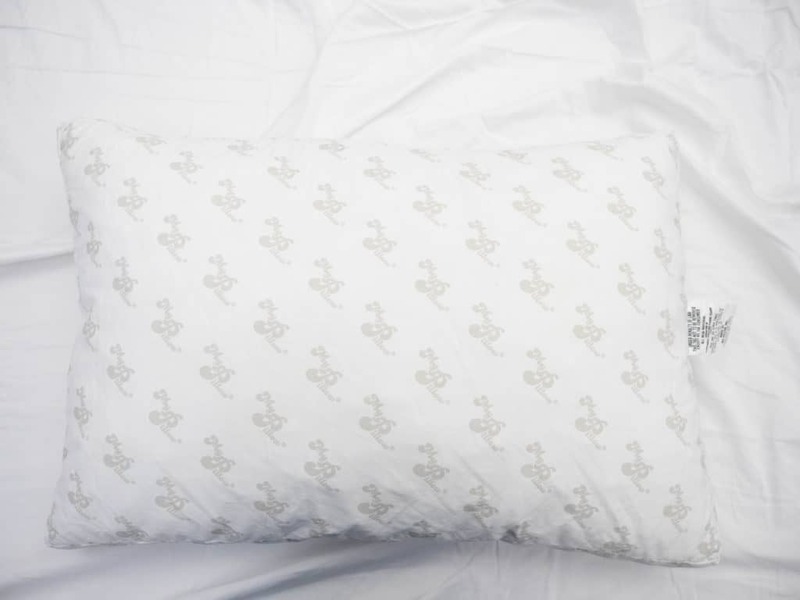 The MyPillow is a super soft pillow ideal for those strict stomach sleepers in the bunch. What’s cool about this particular accessory is that it comes in four different firmness levels, so you can choose the loft that best works for you! I like the Casper pillow the best, but I think the MyPillow would be best for my husband. I like the Leesa pillow. My favorite is the Layla pillow for sure.. I like MyPillow the best after hearing the ad’s and reading this review. I’d have to try them to be sure, but I think the lessa pillow I’d really like to try. We’ve had one of these pillows since they came out and it’s been absolutely the best. It’s not list it’s luster or form in all these years. I stole it from my husband and use it as a leg pillow. I would choose the Casper Pillow since I sleep on both my stomach and side. I would like the spine align. I like a lot of your pillows – I’ve always been intrigued by the My Pillow; I think it has probably received the most publicity. I do not own one, but will admit – have always wanted to. I like this pillow and everything about it. I like the My Pillow best. Spine align is my favorite pillow because I have a super sore neck all the time and I always fall asleep on my side but wake up on my back so this pillow is perfect for me. ive wished for MyPillow for so long! I like the My Pillow because I hear great reviews on them. Have 3 my pillows love them probably the best pillow I have ever had the pleasure to lay my head on. Wish I could afford a Bed Topper, My BACK NEEDS IT REALLY BAD, AND NOW IN WISCONSIN ANYHOW WE HAVE FRICKEN SNOW ALREADY….. I think the Leesa pillow would work best for me. The SpineAlign pillow sounds perfect. I have decided I like the Leesa Pillow the most! Avocado Green is my favorite. Honestly I’m not sure! I want to win for my hubby, and I would let him choose the best one, he likes to sleep on his stomach. I can’t, I feel like I can’t breathe if I do! I think I like the Casper because it is good for side or stomach. I’d sure love to try a My Pillow! Thanks for the chance. I’ve heard such good things about them. Would so love to have a really good pillow to help with neck injuries & not being hot. I like the Purple pillow! I really like the Purple pillow. The tomorrow pillow is for me!! My Pillow is a pillow that I would like to try. My favorite pillow is the Leesa pillow! My favorite stomach pillow is the Purple Pillow. I would like the blue (firm) most. I would love to win a stomach sleeper pillow for my husband. Mypillows are the Best pillows out there! Thank you for the opportunity! I actually do like the sound of My pillow the most, especially for to the constant use of the word “soft”. I don’t like a stiff pillow when I lay on my side or tummy. Second runner-up would be the Purple pillow. Thanks for a chance at giveaway. Everyone needs a GOOD pillow vs chain store $5 bin pillows. My favorite is the Tomorrow Cooling Memory Foam Pillow. Definitely the side sleeper pillow is the best for me. I rarely sleep on my back or stomach. I would love to have this pillow. Thank you. Pillow Guy sounds like the perfect pillow. I love My Pillow. My back and neck do not hurt anymore. I love my pillow. Have had it a year now. I also want to buy the medium standard one too. The MyPillow is a super soft pillow ideal for those strict stomach sleepers, it also comes in 4 different firmness levels. It has a lot of options for many. If I was a stomach sleeper, the Casper sounds the best fit. Love to win these pillows. I so want to try one of these pillows. I can’t pick a favorite out of all of these pillows! They all sound great and have lots of poaitives. What I like about this MyPillow is that it comes in various firmnesses. I have My Pillow and I love them . I would love to try The Purple. I actually would like to have a selection of them, the Avocado Green, the Leesa the Purple all have reasons I would love them, so in world where I could do so I would have a selection to choose from each night!! I really find the Avocado Green pillow intriguing. I sleep on my stomach, so I’d love to win this pillow! Please and thank you! I like the Casper because I’m both a side, and back, sleeper.